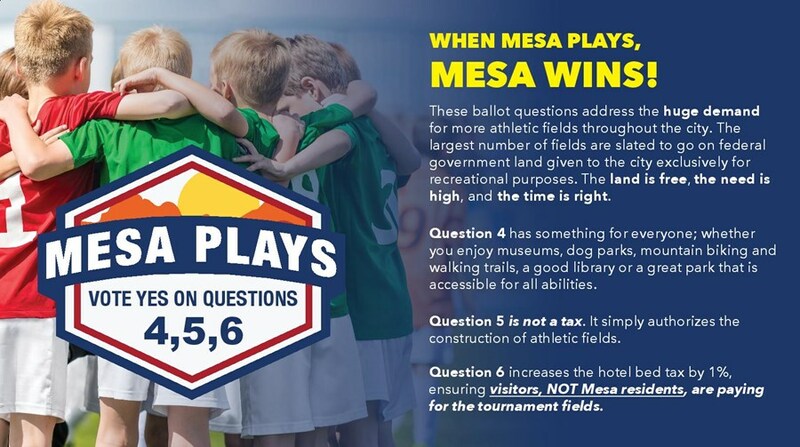 Vote Yes For Mesa Plays! There can never be enough high-quality fields in the Valley of the Sun, which is why it is so important to support Mesa Plays. 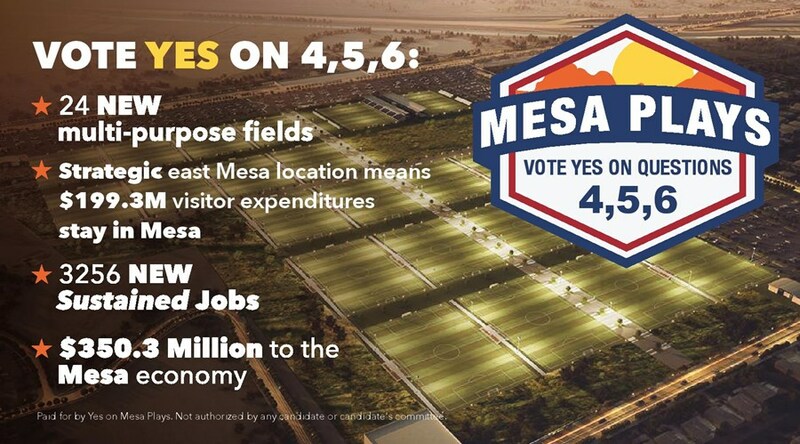 If you're a Mesa resident be sure to vote Yes on questions, 4, 5, 6.